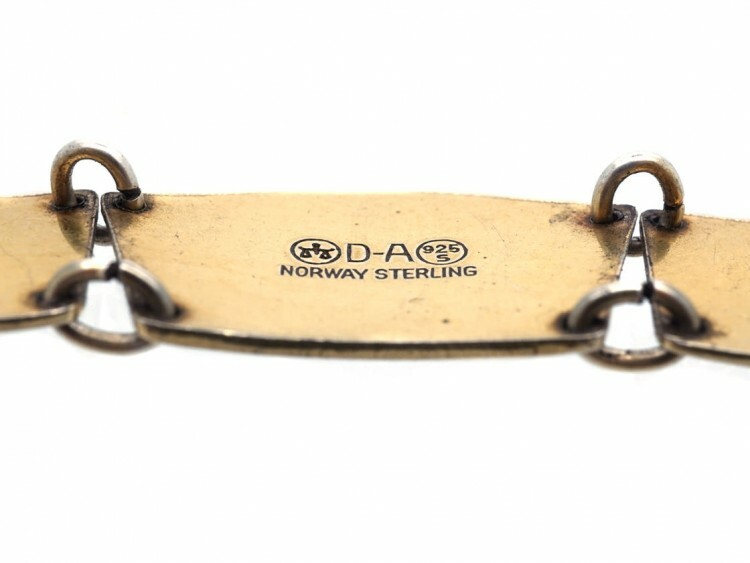 David Andersen opened his shop in Oslo, Norway in 1876 specialising in jewellery and silver wares. 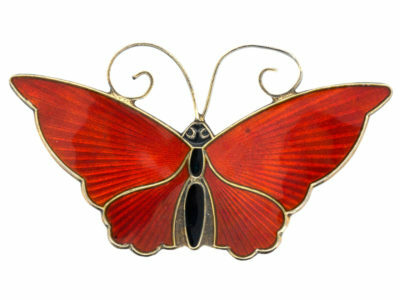 Andersen died in 1901 and his sons took over company operations and designs. 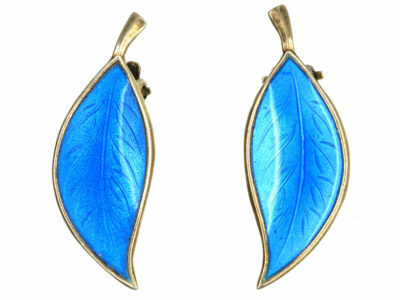 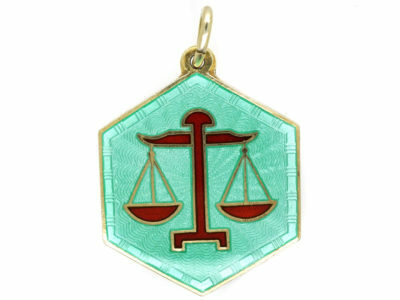 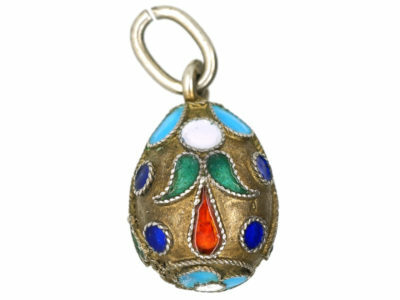 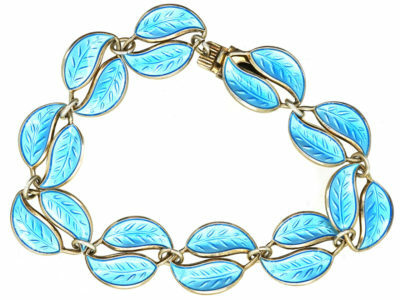 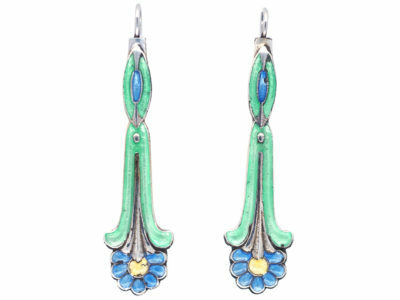 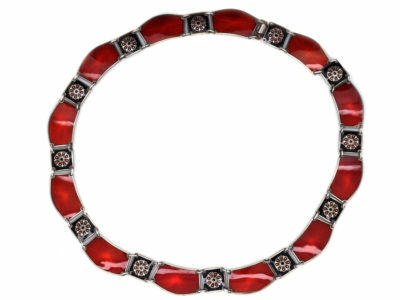 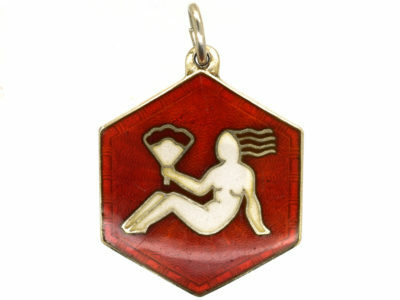 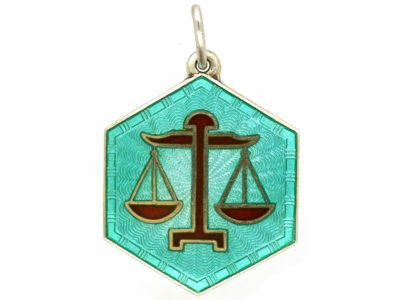 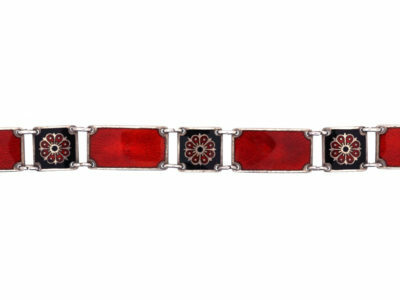 Today, David-Andersen (the company’s name since the early 20th century) is well known for its mid-century enamelled silver jewellery. 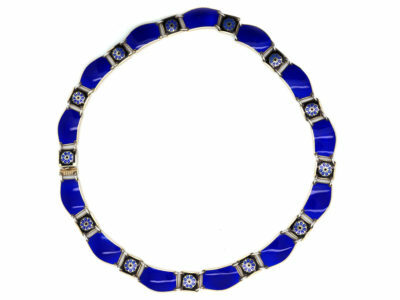 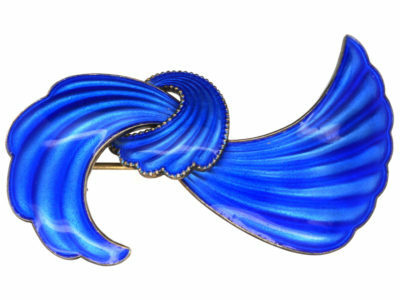 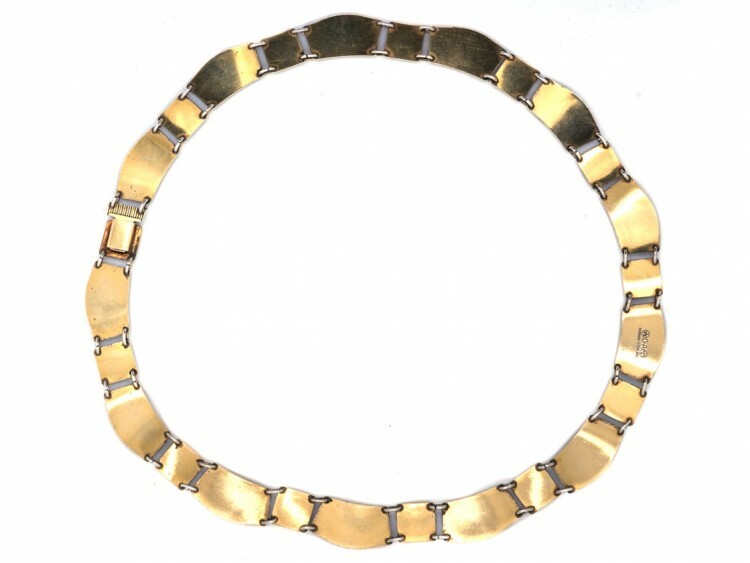 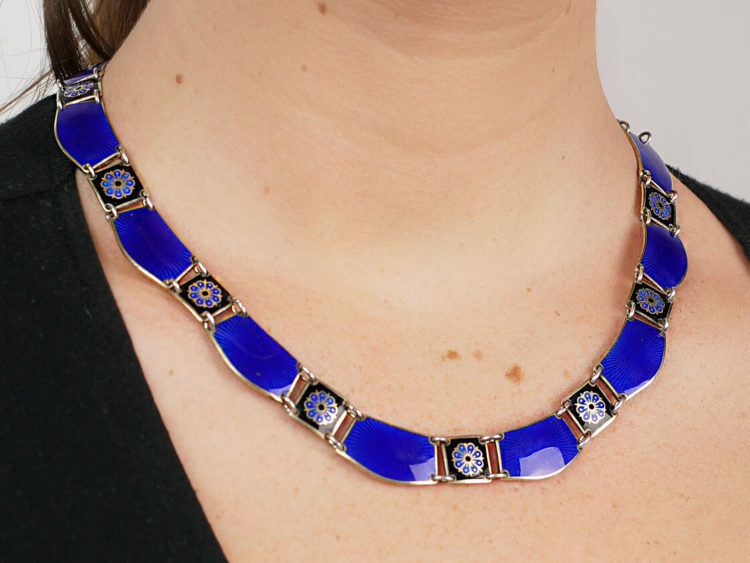 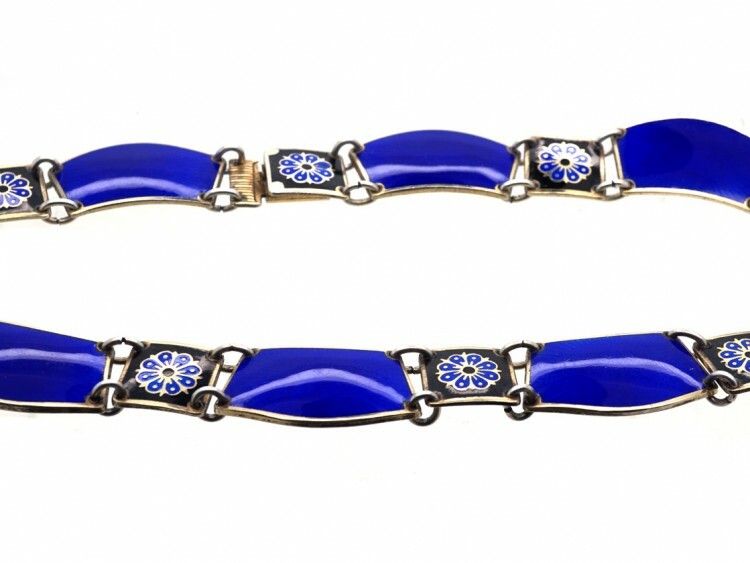 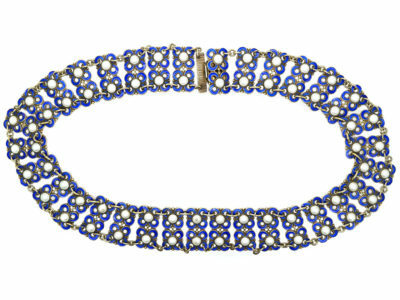 This stylish Royal blue and black enamel collar is a lovely example of his work.